THESE two! These two stole my heart! 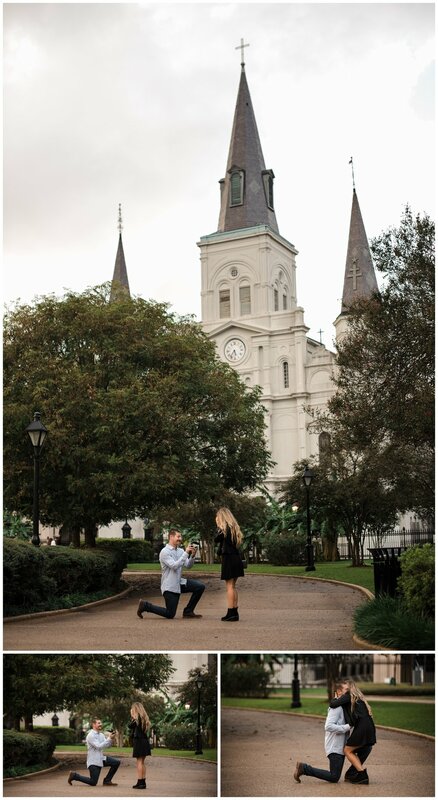 The story of their Jackson Square proposal is one for the books! Once a year, Nick and Natalie travel to New Orleans to watch the Saints play in the Super Dome. They spend a week seeing the sights and celebrating their favorite football team. Natalie had NO idea that Nick was planning to make this an unforgettable trip. But there is more to this story than just a proposal so let me back up a few days! 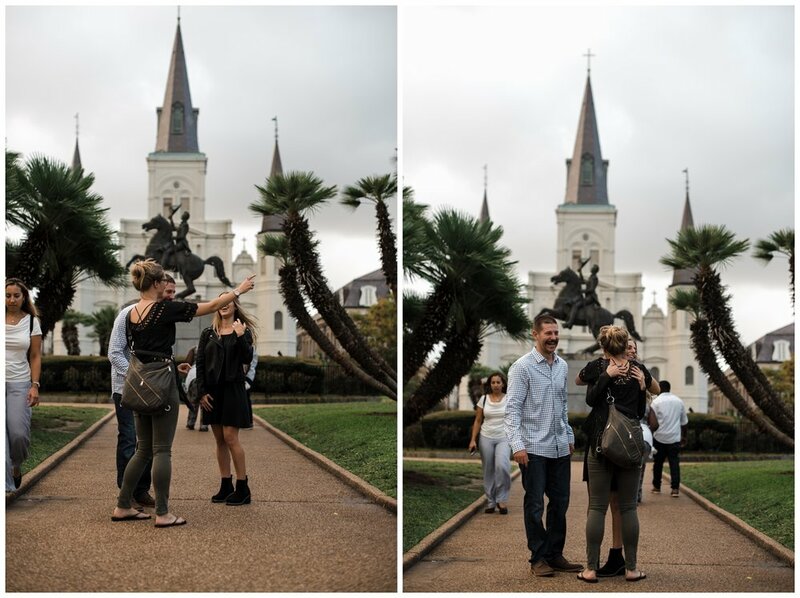 Nick and Natalie arrived in New Orleans and began the usual vacation celebrations. 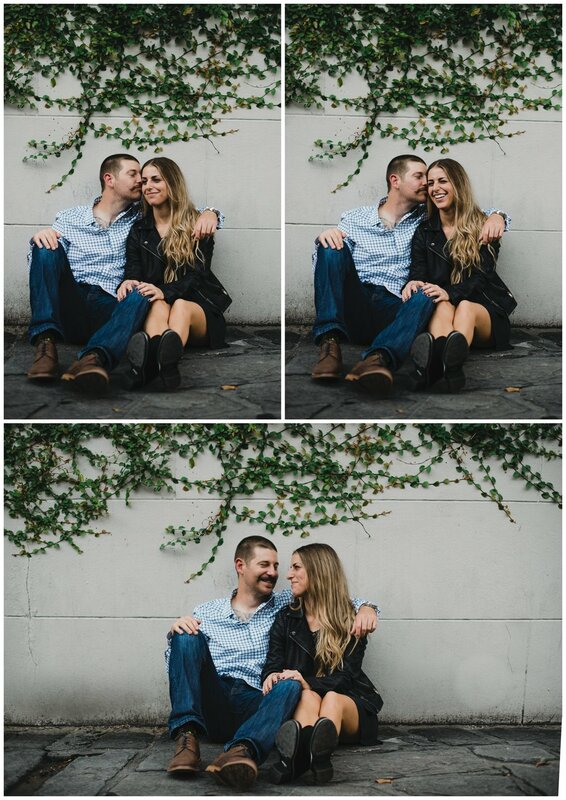 They toured a cemetery where Natalie joked that they would be buried next to each other “But with different last names, because we don’t seem to be getting married any time soon!” Then they were front row at the historic saints game where Drew Brees broke the record for all time passing yards. The WHOLE city of New Orleans was in celebration mode, and these two were along for the ride. Then, on Tuesday night, Nick planned to meet me in Jackson Square at 5:30pm but arrived a bit early. He stalled for 15 minutes by looking around and standing in front of St Louis Cathedral. Natalie looked at him and said “Why are we just standing around? Don’t we have dinner plans? All these people are looking at us like you’re about to propose or something!” He laughed it off and kept stalling to have a punctual arrival at our planned location. Nick led Natalie into the park where he quickly waved to me (hiding in the bushes) to signal that he was ready! 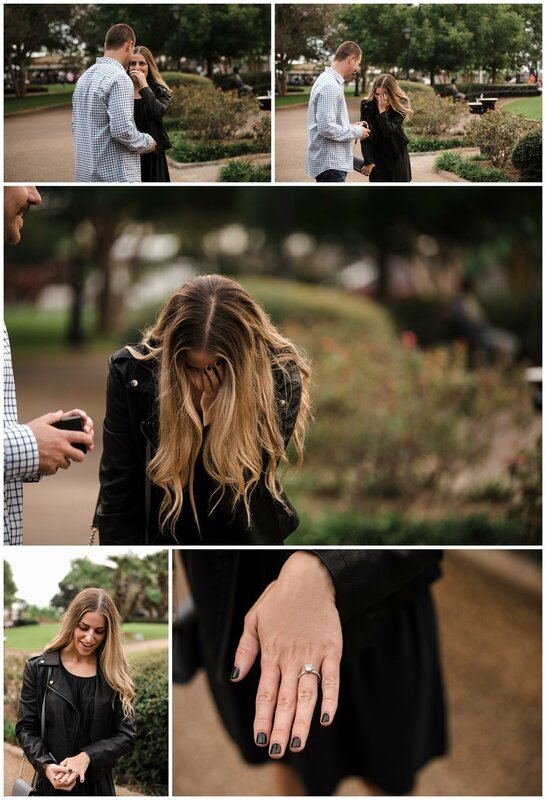 He got down on one knee, asked Natalie to be his wife and she was left in utter shock! He successfully pulled off a complete surprise proposal, and I was so glad to be a part of it. About halfway through the photos, you’ll see a stranger come up and congratulate the couple. She saw the proposal happen from outside the park! When I say the WHOLE city was celebrating, I wasn’t kidding! 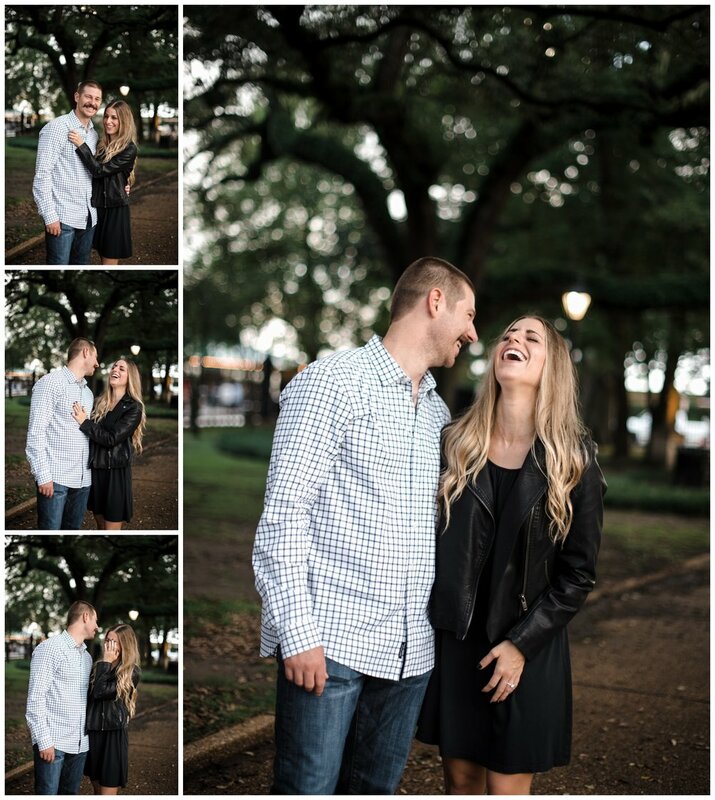 After these two got engaged, we took a whirlwind tour of the French Quarter and photographed until the sun went down.